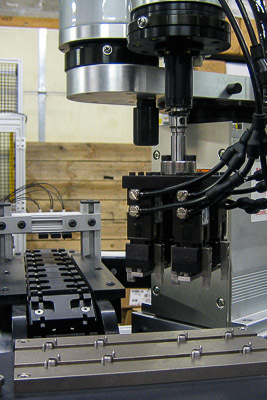 We utilize robotics in many of our systems to maximize speed and accuracy. 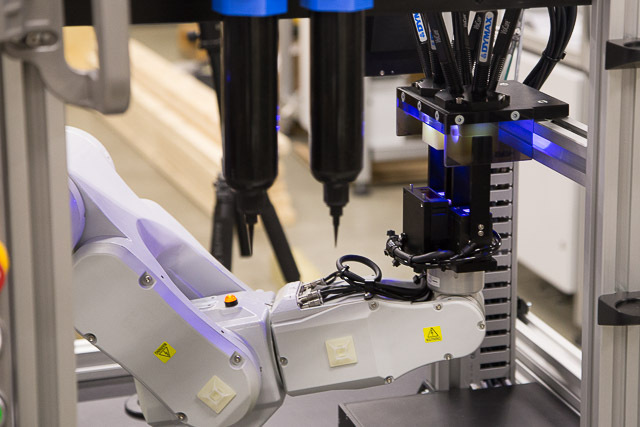 Robots are ideal for the most demanding and complex production requirements. 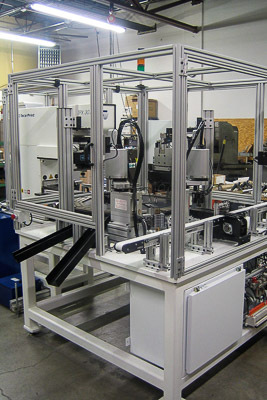 Our engineers are experts in integrating robots into automated assembly systems. 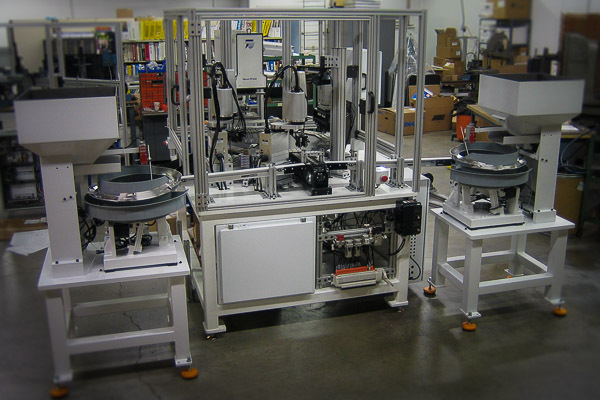 Fixtures are loaded and unloaded in a safe zone with front and back light curtains. 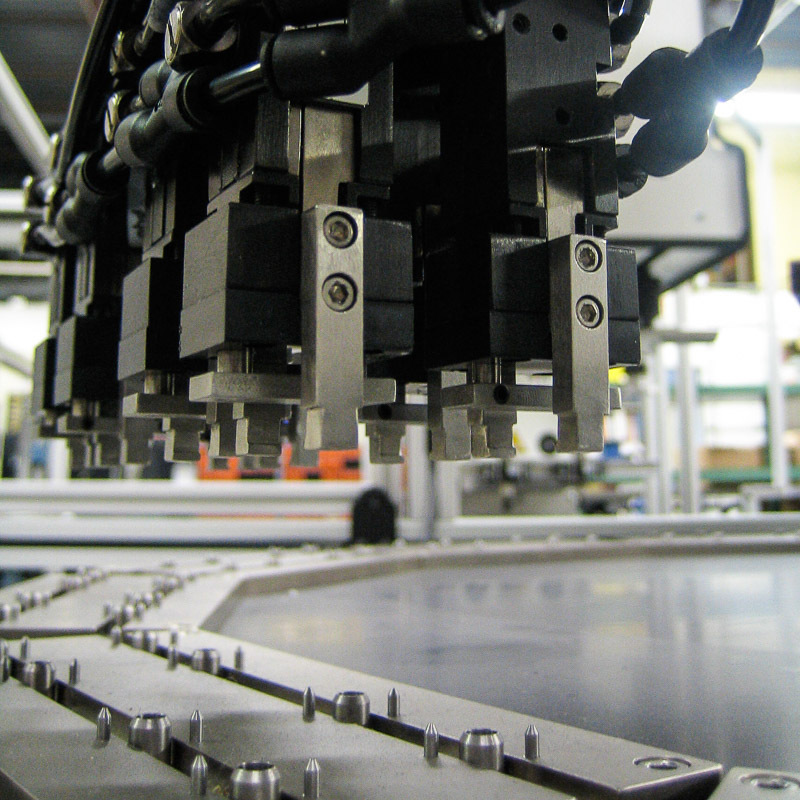 The robot picks up fixtures pre-assembled with medical devices and inspects the parts for proper assembly. 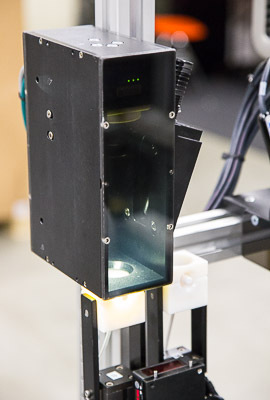 The robot manipulates the parts for servo-driven adhesive dispensing, curing and fluorescence inspection on three sides. 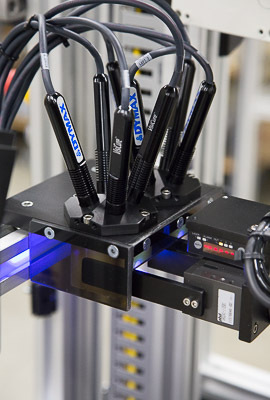 On adhesive replacement, the dispensing needles are aligned using a laser sensor.